Listen live to WSKG radio. 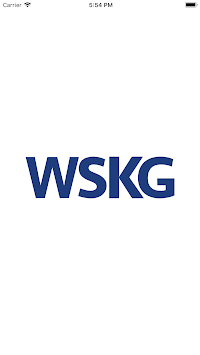 Read WSKG News. Find on demand TV & radio programs . • Listen to WSKG or WSKG Classical even while traveling. • DVR-like controls: pause the live stream to have a conversation and pick up right where you left off. Rewind to catch a comment you may have missed. • Listen in the background to WSKG radio or WSKG Classical while browsing the web or catching up on your email. 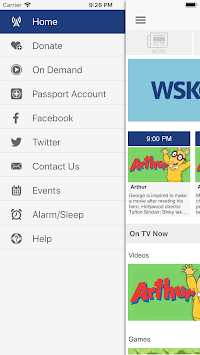 • Access WSKG TV and Radio current and past programs easily and quickly. • Displays the web page associated with the program for more information. 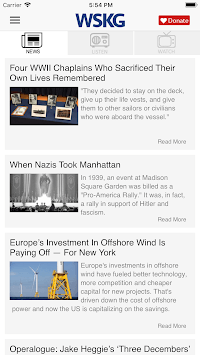 • Easily share interesting stories and programs with family and friends. • WSKG Classical "Music and More"
From WSKG Public Media and Public Media Apps… working help listeners and viewers find what you want, when you want it, and where you want it. This app is made possible by the support of viewers and listeners like you. Please support WSKG today!